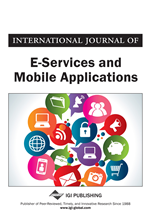 Through a longitudinal case study this paper explores the repercussions from introducing a mobile commerce platform as just another instrument in the marketing toolbox in a traditional sales-oriented firm. Findings suggest that the implementation of the M-platform in addition to its intended purpose spawns a digital business model that allows the company to change its relations to distributors, retailers and customers enabling access to direct communication with end-users. However, the emerging new business model has the potential to change the organization entirely. This paper argues that although the emerging business model was indeed a success seen from a sales-, marketing-, innovative-, and relational perspective, it was perceived as a disaster from an organizational perspective. Consequently, top management abandoned the new platform. The paper highlights the importance of not underestimating resistance in an organization when implementing a new marketing instrument such as M-commerce platforms. Since the early 1970s, many authors have predicted a future acceleration of change in the environments of organizations (Toffler, 1971). As a consequence, organizational change or the willingness to change has become an intrinsic good to most companies (Christensen, 2002). In relation to this, authors have frequently argued that innovativeness, proactiveness, and competitive aggressiveness have become key ingredients to firm survival and success (Wang, 2008). Other authors have observed this imperative or story being acted upon by managers and leaders of organizations (J.G. March, 1995). Consequently, employees often act or are forced to act upon this story – true or not – of being embedded in a turbulent environment; markets and technologies are changing at an increasing tempo, a context that need to be addressed via innovativeness, proactivity, and competitive aggressiveness (James G. March, 2006). One strategy which has been applied frequently by management to tackle these dilemmas generated by a turbulent environment is to employ new communication technologies on an organizational level in order to increase the ability to monitor activities, accelerate information flows, and facilitate new ways of collaboration across space and time (Sambamurthy, Bharadwaj, & Grover, 2003). This process is also seen as an alley to generate a supportive environment and greater participation by the employees (Kiesler & Sproull, 1992). Accordingly, incentive regimes aiming to nurture already existing creativeness, innovativeness, and entrepreneurial behaviour amongst employees are often exercised in concurrency to implementing new communication technologies to support the intended increase in organizational responsiveness and flexibility (Lau et al., 2006). M-commerce technologies have proved an alluring marketing tool to companies that strive for a close(r) contact to a large number of customers, sales staff, and dealers. As they did with E-commerce, organizations have embraced M-commerce platforms in anticipation of improved customer relations and increases in sales etc. (Frolick & Chen, 2004). In many cases, these expectations have been fulfilled. Nevertheless, it has been observed that unwanted and unintended effects spanning from a counterintuitive tendency to increased work pressure (Sproull & Kiesler, 1992) to errounce outcomes and work processes (Koppel et al., 2005) follows in the wake of a new communication technology’s launch. Also, authors have reported more tacitly embedded complications such as organizational ambiguity stemming from both intended and unintended repercussions when new communication technologies are implemented in an existing organization (Levina & Orlikowski, 2009).